Red & Black are delighted to be able to offer to let this well presented spacious 3 bedroom bungalow in the quite area of Batford. With a single garage and off road parking, this bright and spacious property is a perfect family home. Spread across the first floor you have your kitchen, a bathroom, a spacious family lounge, the master bedroom and a study area. Spread across the first floor is a double bedroom with walk in storage area and a single bedroom. Offering a private garden to the rear of the property, there is plenty of space for all to enjoy. 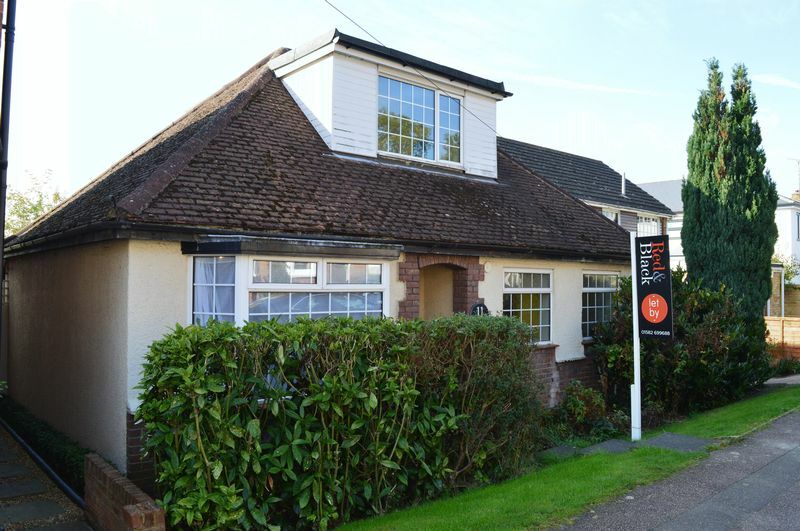 This bungalow is set in a commuters ideal location, within 1 mile of Harpenden train station which offers a direct line into London, and around 5 miles to M1 J9.